I am originally from California by way of Australian parents. I graduated from San Diego State University with a BA in European Humanities and have a sommelier certificate from AIS and I am currently a WSET Diploma candidate. I worked as a university professor at the Istituto Lorenzo de’ Medici in Rome where I taught the course “Wines of Italy”. I fell in love with the country, people and wine of Georgia and now spend my time split between Rome and Tbilisi. I own a company called Taste Georgia that offers food and wine tours from Tbilisi and around Georgia. 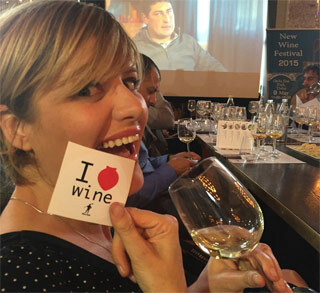 I am an ambassador for wine and travel to the Republic of Georgia and also offer food and wine tour services to Georgia. I am a crazy cat lady, live with six rescue dogs, and in my spare time I spend my time lost in books, gardening, tasting wine, writing and collecting socks with fun designs. My favorites include tacos, khinkali and cats. Tbilisi was love at first sight for me. Within two months of first visiting I was back to launch a food and wine tour company, Taste Georgia. It’s European but it isn’t. Its ancient history collides with its very modern Soviet past. It’s a city for wine lovers, art lovers and anyone seeking a more “authentic” experience that many capital cities in Europe have lost to global tourism. It’s a mosaic of chaos that slowly exposes itself, layer by layer. There is great beauty to be found in the ruins, and a real sense of enthusiam that Georgians are ready to share with the world.